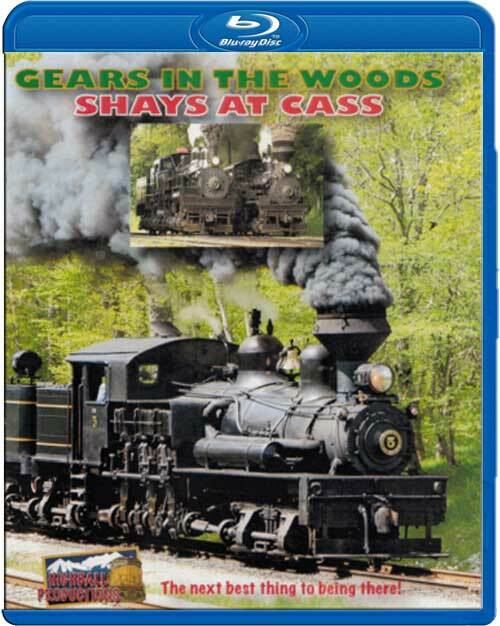 Geared Shay locomotives at Cass, West Virginia, with a Carl Franz photo freight, and the following weekend at the Cass Railfan weekend. 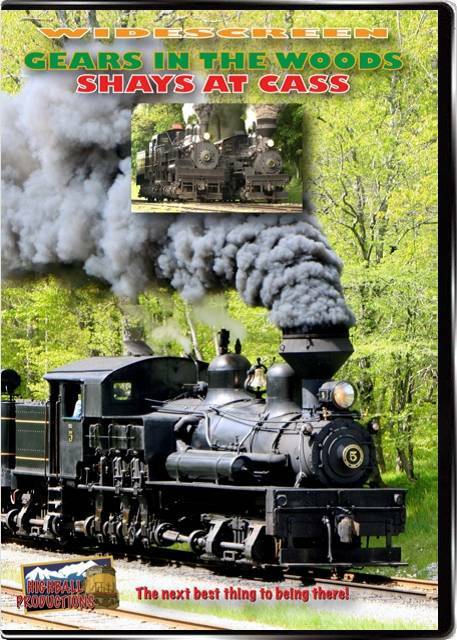 We see all four operating Shays in action, with the signature triple header and side by side run-by's, with lots of close ups of the thrashing machinary. Lots of sound, fury and smoke and not much motion! Totally amazing! chris collins (fletcher north carolina) on 2018-09-10 08:46:38. TRAINMASTER (Hendersonville NC) on 2011-11-13 09:49:37. Steamboy (Revere MA US) on 2017-02-03 06:32:03. Like all of the other shows, the quality of the footage is awesome, the narration is minimal as always, and the shays however are 100% interesting to look at, when you're on vacation in the mountains. Rail Buff (Southern California) on 2016-01-24 15:49:46. Started out very interesting but then became boring. Nothing but many, and I mean MANY, run-bys of the same four Shays hauling three or four cars each (reminded me of a child's toy train set) with almost non-stop whistling which became very tedious. Of course this was a Railfan weekend so I should have been warned and more alert. Also LOTS of smoke, which I don't like. Probably more smoke in a day from each loco than each would produce in a month of actual service. I know they do it for the fans but I still don't like it. I do like the narrator's (Peter Cook?) voice and presentation, though I could have used more. Locomotive64 (Belgium) on 2012-10-31 04:10:03. Good video for railroad friends. Please to see it in bluray.